If you’ve been on holiday outside the EU this year you may have been tempted to have tried a decorative black henna tattoo. Tattoos and body decorations are definitely the in-thing at the moment and what could be better than a commitment-free, fun, temporary tattoo which will fade as quickly as your tan. What are black henna tattoos? 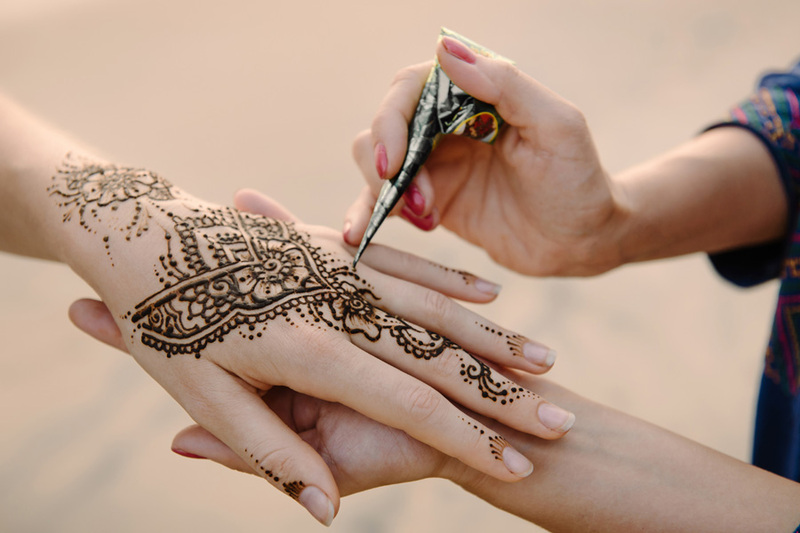 Don’t worry, henna tattoos which have been used in wedding and cultural festivities across Asia and the Middle East for centuries are not in themselves harmful. They use natural reddish-brown henna which when applied decoratively to the skin leaves a “tattoo” as it dries. This tattoo gradually disappears after a few weeks. But black henna is completely different. Some unscrupulous tattoo artists outside of the EU darken natural henna (hence the name black henna) with the hair dye PPD (paraphenylenediamine). When applied directly to the skin, this chemical can cause painful blistering. Even if your skin doesn’t react adversely to the tattoo itself, the PPD in the tattoo can still sensitise your skin and set off sudden new reactions to professional hair colourants (and eyelash tints) in the future. The use of PPD in henna tattoos and other skin products is illegal in the EU, but is a perfectly safe legal ingredient in many hair dyes and fully regulated under rigorous EU cosmetic regulations. The British Skin Foundation advises against black henna tattoos, however if you have already tried one, just let our friendly stylists know and we can retest you and advise on the most suitable treatments for your hair. The test is of course complimentary and only takes a couple of minutes. It does, however, need to be carried out at least 48 hours before your colour service. If you’ve any concerns please do call us on 01527 878822 as your wellbeing is of paramount importance.